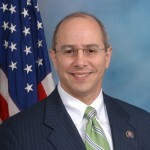 On May 1, 2013, Congressman Charles W. Boustany, Jr., MD (R-LA) announced that the U.S. Internal Revenue Service’s recent report on tax-exempt compliance by U.S. nonprofit colleges and universities will be the subject of a hearing on May 8 by the U.S. House of Representatives Subcommittee on Oversight of the Committee on Ways and Means. Hearing Advisory (May 1, 2013). The IRS report, profiled here in an April 29 article, summarized the Service’s findings from a study commenced in 2008. According to the report, the IRS detected a high incidence of noncompliance, particularly with regard to declarations of unrelated business taxable income. The Service also determined that institutions were setting executive compensation in the upper bounds of what was legally permissible. Given the importance of nonprofit colleges and universities, it is critical that the Subcommittee continue its review of this segment of the tax-exempt sector. The IRS’s colleges and universities compliance project suggests widespread noncompliance. The Subcommittee has an obligation to explore the root of these alarming findings on the audit of our nation’s higher education providers. This hearing is an excellent opportunity to discuss the results of the compliance project and examine areas for improvement in oversight, with an eye toward comprehensive tax reform. This entry was posted in General, Nonprofit Law and tagged Tax-Exempt. Bookmark the permalink.